So if you're like me you're always looking for the easiest of breakfast ideas because you know that it's the most important meal of the day - and you know your kids need it to give them enough energy to last them til lunch time. And maybe you're tired of microwaving mini-pancakes every morning, or watching soggy cereal go down the drain. And maybe you're tired of having to figure out what YOU should eat, too. Because deciding what to eat day after day after day? BORING. I know. It sounds a little crazy. You've probably heard of them before. Maybe even looked at them as too much work or were skeptical about the taste. But you should try them anyway. Because you might be surprised. And? Bonus? My daughter loves them, too. 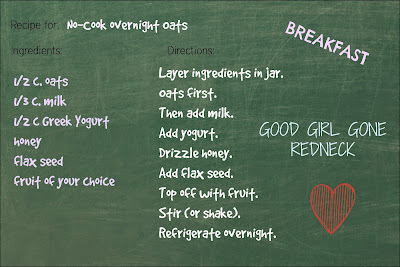 Start with rolled oats. You can use steel cut, but I did some digging and rolled oats work fine - and taste great, in my opinion. 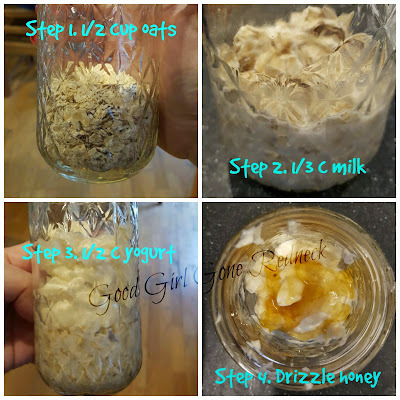 Grab a 1/2 c of oats and toss them into a mason or canning jar or some other clean and lidded jar. Cover the oats with 1/3 c of milk. I prefer unsweetened almond milk, because the sweetness will come later and that gives me some leeway with the calories. Add 1/2 c of Greek yogurt. I use vanilla, because FLAVOR. And if you don't like Greek yogurt you can give it a try with regular yogurt. Plain works fine because you're adding a lot to it, but again, I prefer the flavor of vanilla yogurt to plain. It's a complete preference thing. 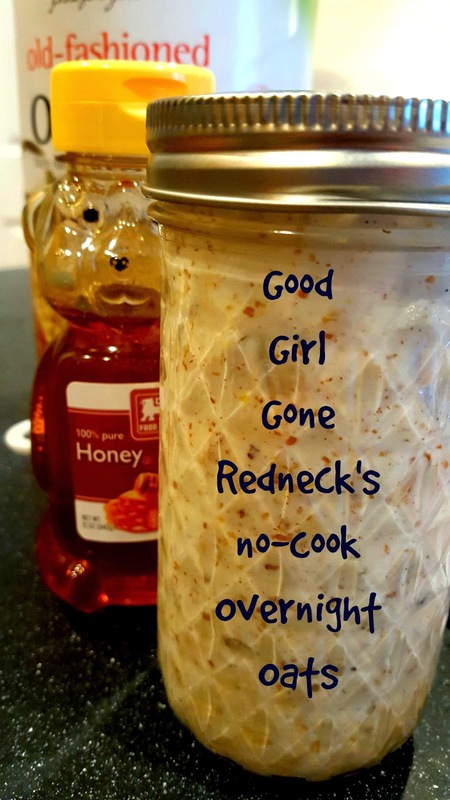 Top that off with a drizzle of honey. Be generous. Or don't. It's good stuff, though. Sprinkle in some flax seed. Or chia. Or protein powder, if you use that sort of thing. I've even seen people say they use peanut butter powder, like the kind you'd toss into smoothies. I might be curious enough to get some and give it a try. Last step? Add the fruit of your choice. I've made it with strawberries, you can slice about 4-5 and put those in. Or cover the top of the jar with blueberries. I don't eat bananas but I've heard that they work well and don't get too gross, but I can't speak to that first-hand. 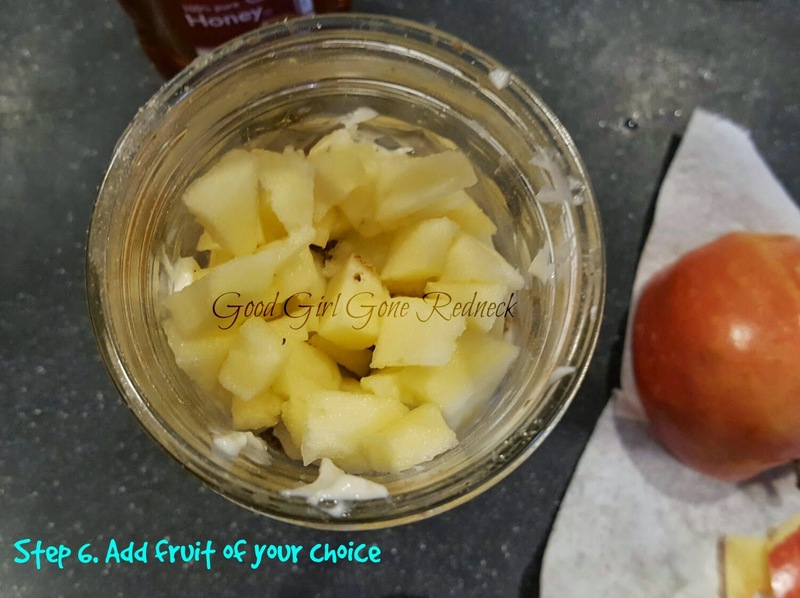 I used up those so these pictures here have some diced and peeled (personal preference) apple. They turned out amazing. The apples softened just enough and it kind of tasted like apple pie - but healthier. And less syrupy. 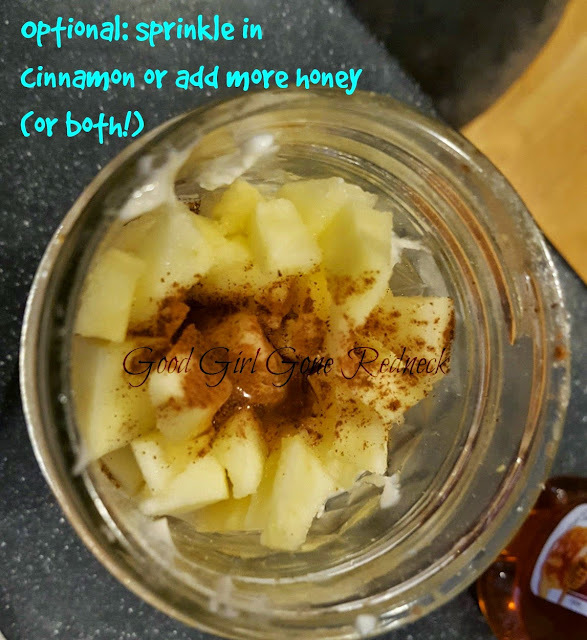 Lastly, if you're interested, sprinkle some cinnamon on top before you finish up. You could also add more honey at this point, if you prefer your oatmeal sweet. Be sure to leave yourself enough room. 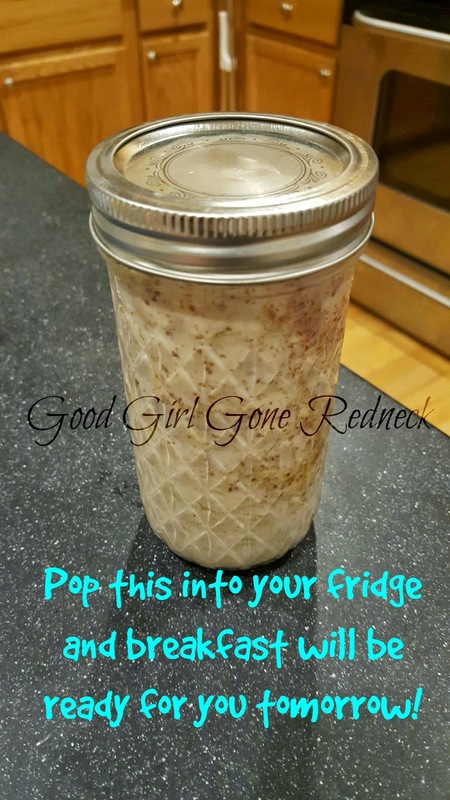 Most recipes will tell you that you can shake it up once you put the lid on. 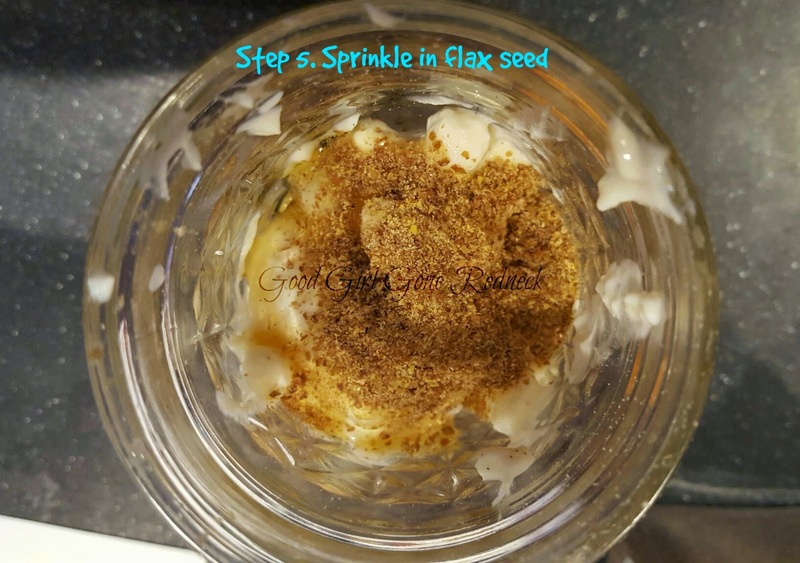 And you can, but I prefer to give it a quick mix to make sure that the consistency throughout is the same. Put it in your fridge and you're good to go. 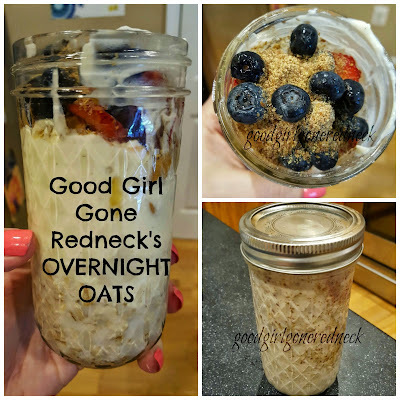 Honestly, I think whatever you put in regular oatmeal you could add to overnight oatmeal. So - give this a try and let me know what you think. 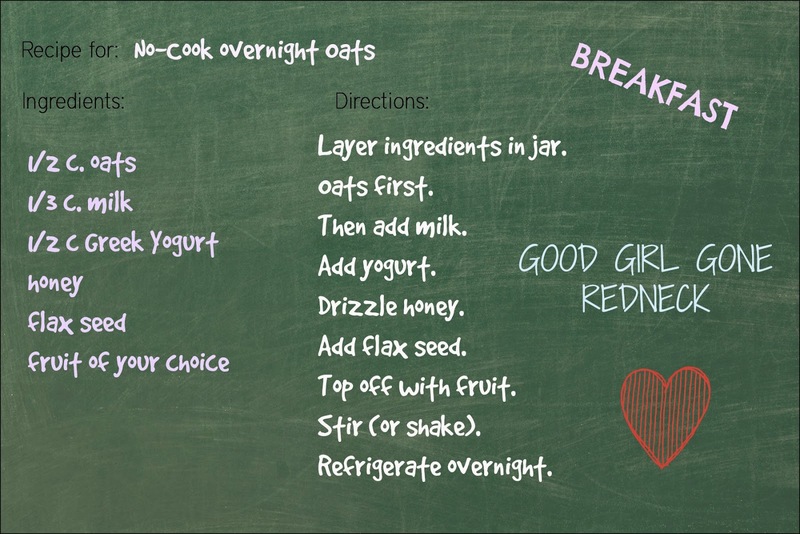 I hope it helps make breakfast-time easier for you and your family. Let the little ones help you choose and fill the layers and they'll feel like they're a part of the planning, and when they feel a part of something they're more likely to dive right in when you serve it. It's a win-win all around. If you want to make things easier for yourself, just click on this recipe card image below, save it to your computer or phone. Print it out (it's kind of huge - sorry!) or just keep it on-hand. You'll have the info you need available for easy prep (and shopping!). 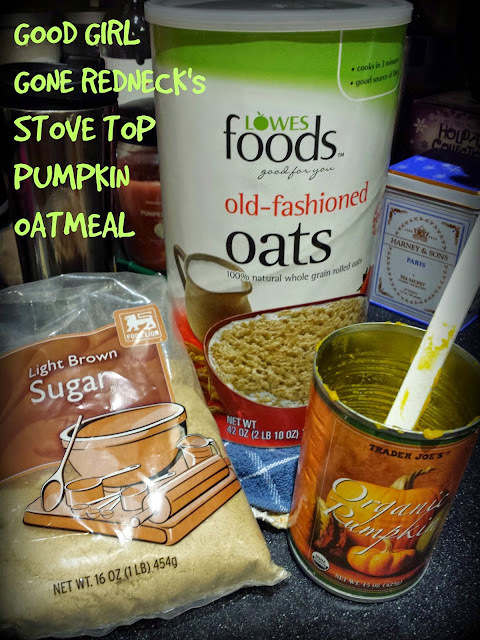 And if you're looking for a different kind of oatmeal recipe that can also be prepped in advance and warmed up in the the morning check out my pumpkin oatmeal by clicking the image below. * Thanks to Home Cooking Memories for this recipe card template. * There are affiliate links for products on Amazon scattered throughout this post. Oh, wow. 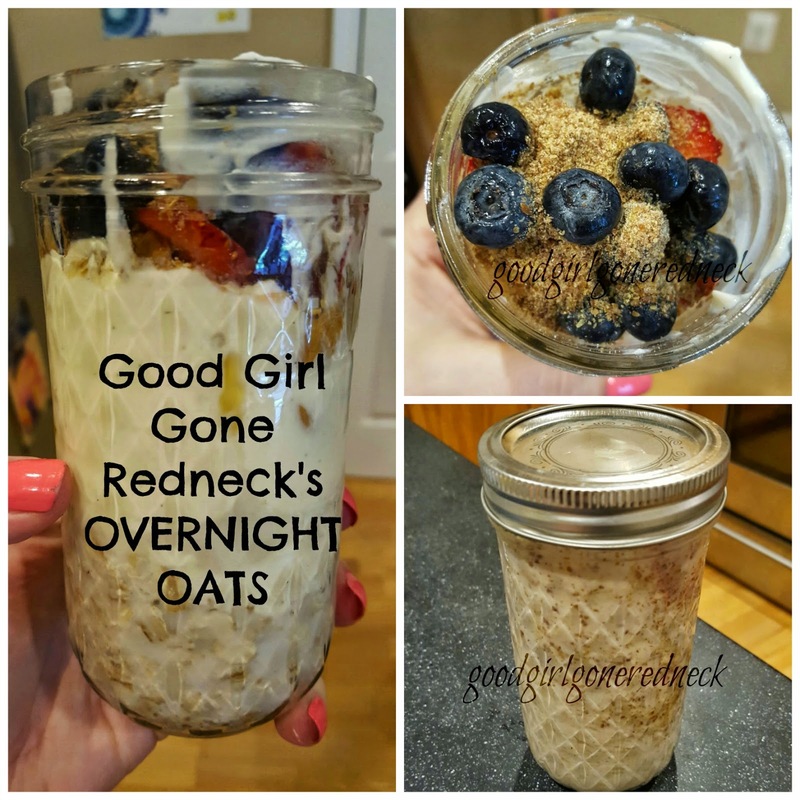 I don't usually like oat based snacks, but this looks absolutely delicious. Definitely going to give this a try soon. Thanks! Greetings! Hope you are doing well. I want to thank you for this post and for your site in general. No doubt you are doing hard work here. Your writing style is very smooth and I really enjoy reading your posts. Please keep it good posting!